The Opposition fears the final purchase of EMTV by the government is another tactical move by the government to control media in the country. 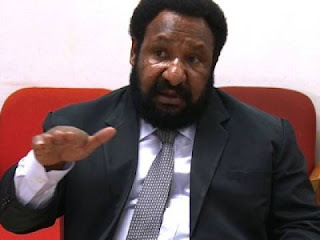 Opposition Leader, Don Polye said the country’s longest serving television station may now become another propaganda tool for the Prime Minister and his government. He stressed that the government now owns EMTV, and it may continue to use the television station to drive its agenda through especially during the looming national general election. Mr Polye adds that the immediate worries’ at hand were to adequately fund the electoral commission and the electoral roll update. He also queried whether the transaction’s K20 million was the actual price as the previous value was at K27 million. Mr Polye questioned government’s motive in acquiring another television station when it already owns NBCTV, formerly known as Kundu 2 TV. He said NBCTV is a struggling entity and the government through NBC management should inject more resources to build the capacity of NBCTV instead of purchasing another television station. Mr Polye said despite challenges facing the National Broadcasting Corporation, Radio and TV, they had proven to be premium. He said TV was an important mode of communication to satisfy the entertainment, education and information needs of the people.